WASHINGTON — In a recent speech on the House floor, Republican Representative Louie Gohmert of Texas explained that throughout the Bible, God protects nations that honor Him, but destroys nations that turn away from His rule. 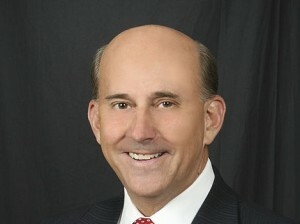 Gohmert was speaking about the persecution of Christians around the world, including the in Middle East, and the mainstream media’s avoidance of the topic. “We may see the elimination and extinction of Christianity in its very birthplace, without a whimper of protest from the West,” he lamented. He then began to speak about God’s protections on Israel in the Bible, as well removal of His hand from the nation when it stopped honoring Him. In 1798, President John Adams made similar statements in proclaiming a national day of humiliation, prayer and fasting. Gohmert, a Sunday School teacher at Green Acres Baptist Church in Tyler, Texas, said in his speech that America has fallen from its glory days and is turning its back on the followers of Christ. Gohmert ended his address by pleading with the Obama administration to stop supporting foreign nations that persecute those who follow the God of the Bible.